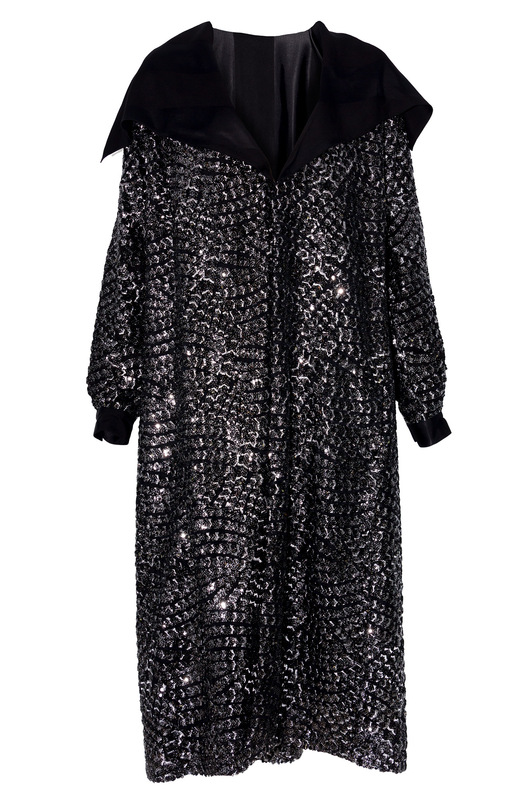 A maxi cardigan in black satin, adorned with patterns of silver and black scales in sequins. 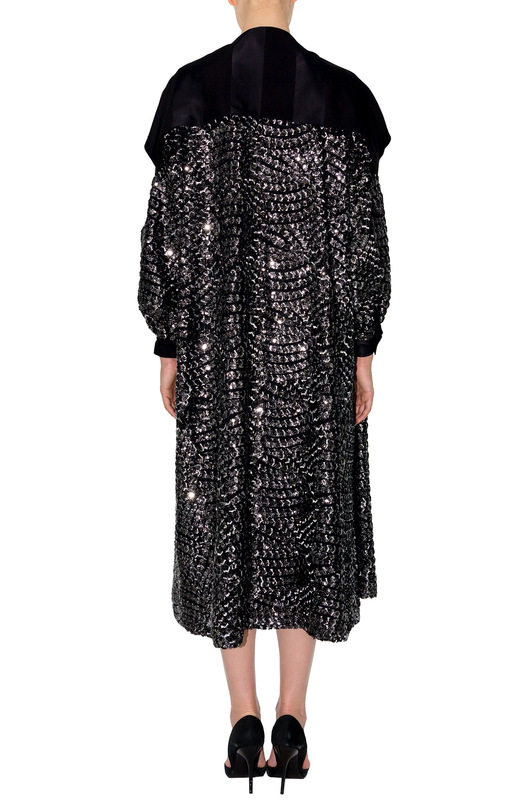 To wear over a black outfit, or belted at the waist as a spectacular dress. Stefanie Renoma: A timeless collection borrowed from menswear, largely feminized by its cuts worked to highlight your major assets.